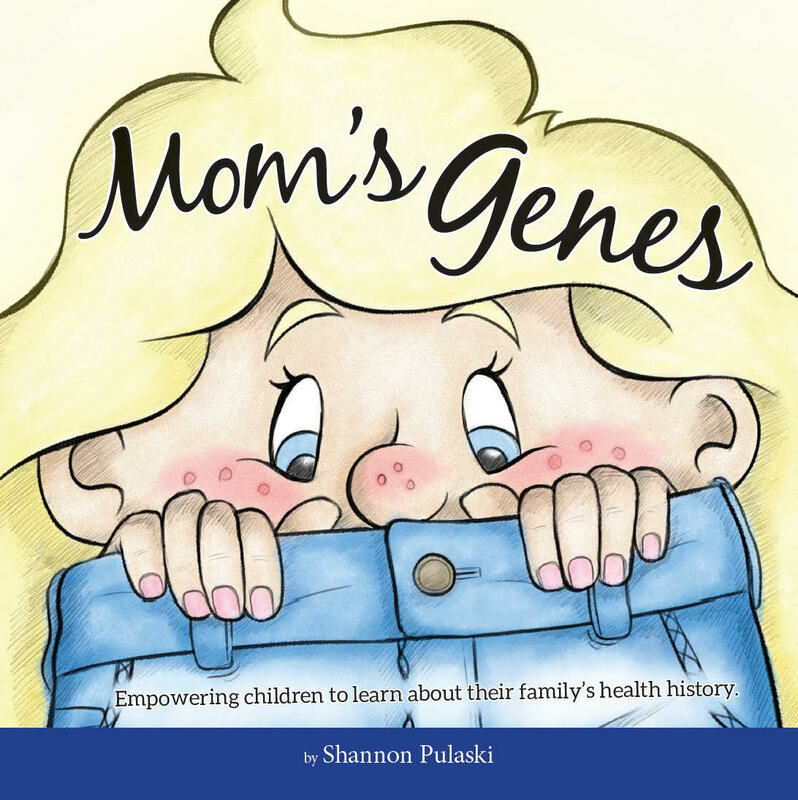 Shannon, you’ve written a children’s book called Mom’s Genes that serves as an introduction for young children to learn about genetics and family history. There are few books on the market that cover this topic, and none that I know of written by a parent. What inspired you to write Mom’s Genes? I was inspired by my own experience. When I found out I am BRCA+ my twin daughters were only 12-months old, and I was able to develop a plan of action without them really knowing. But the girls are 7 years old now, and my son is 4 years old, and I believe there is a need to start talking about genetics and family health history with my children. I started thinking about how to reach them and they LOVE books! We started talking about the book and sketching out pictures and ideas. 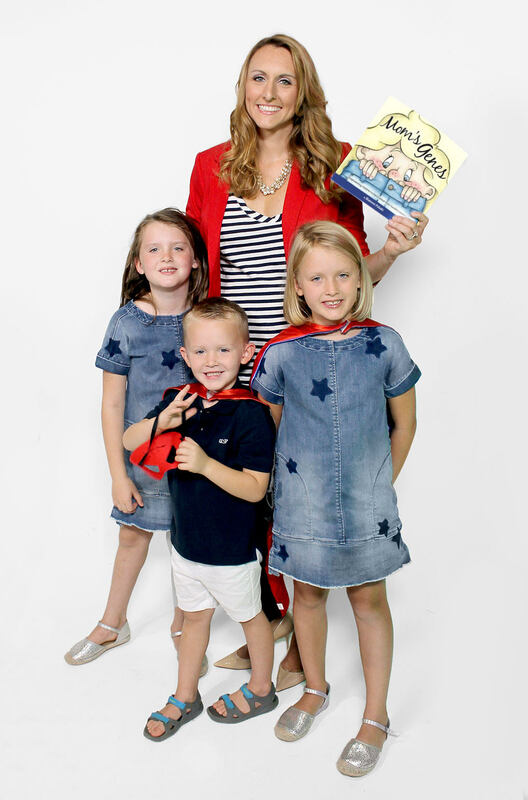 In fact, the pictures in the book are based on drawings my girls did of our own family. Together, we wrote this introductory book that is intended to be simple and appropriate for little minds. My mom was diagnosed with ovarian cancer 7 years ago and, although she has been through a great deal, she is doing well. She had a good gynecologic-oncologist who did genetic testing, and we learned that she carried a BRCA mutation. I had no idea what that information meant at the time, or what it would mean for our entire family. At that time, I was in my twenties and was not aware of our extended family history of cancer, because people didn’t talk about their cancer diagnoses. This had a huge impact on our family. Then I tested positive for the same BRCA mutation and decided to take that information and turn it into proactive behavior. You’re a mom of 3 children. How did you tell them about your genetic story? The story is still unfolding. I’m taking a slow, measured approach in discussing our family health history, and am making it age appropriate and in response to events in our lives when it seems like the right time. I make sure to emphasize that Mommy is not sick, but I have to go to the doctor to make sure that I stay healthy. How do you hope this book will be used? What were your goals in writing the book? 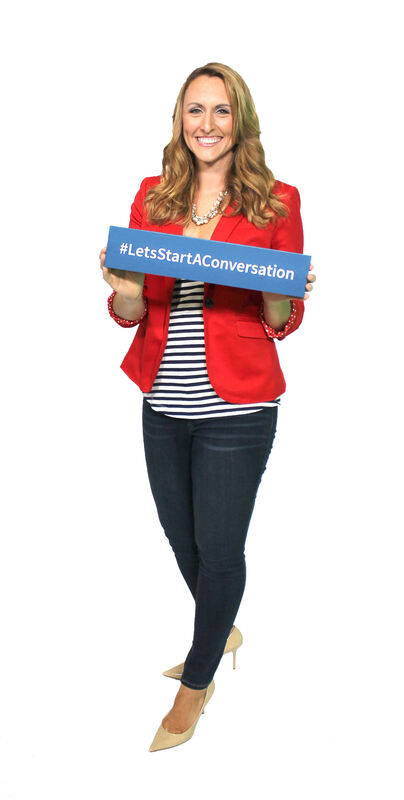 I hope this book is going to help families start a conversation. It is not intended to be a comprehensive guide, but rather a way to begin a conversation about genetics and knowing your family health history. I want families to understand that they can start these conversations in a way that is not scary but sets children up to someday become proactive adults. The audience for this book is very broad – it is for anyone who wants to introduce genetics and the concept of family health history to their small children. My ultimate dream is that an interested party will see the need for this book and will partner with me so that we can give this book to any family who needs it, as well as all genetic counselors to hand out to their patients. We’d also like to stock this book in elementary school classrooms and health classes. Yes, in fact, I’ve already started the next book. This series is intended to grow with the child, and I’ll be approaching different topics and disease states that run in families. How can people find this book and how much does it cost? You can buy this book on Amazon for $9.99. To stay updated on Shannon’s projects and activities follow her on Instagram, Facebook, Twitter, and website.